Made by Me. Shared with you. 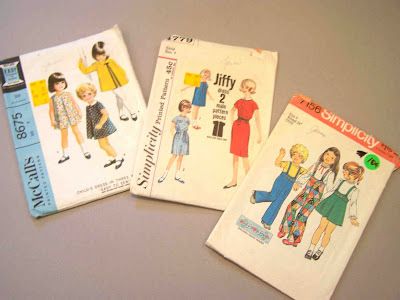 : Vintage Patterns, and what to do with them? Vintage Patterns, and what to do with them? 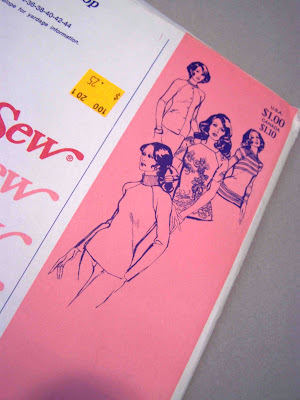 When ever I make it to a thrift store I try to check and see if they have any sewing patterns. Usually I find a large selection of early nineties home decor patterns, or patterns for stuffed rabbits and pigs wearing dresses. I have had a couple of successful trips to the thrift store, and one being just a couple of days ago. The store was well stocked with vintage clothing patterns. I would have loved to buy them all, but I held myself to only picking up my favorites. 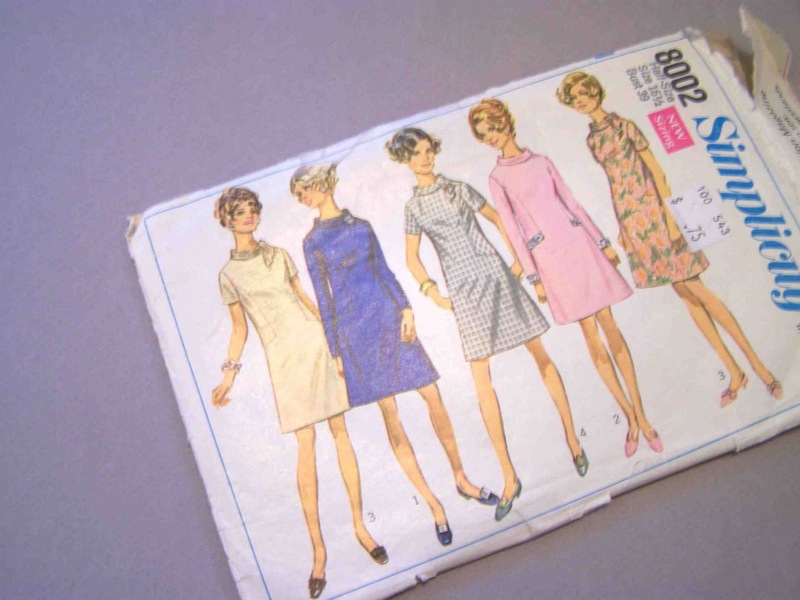 I just imagine that some old lady died, and her children were thrilled to finally throw out the huge collection of patterns that she'd collected through the years. (I'm pretty sure that my children will have to go through the same thing). 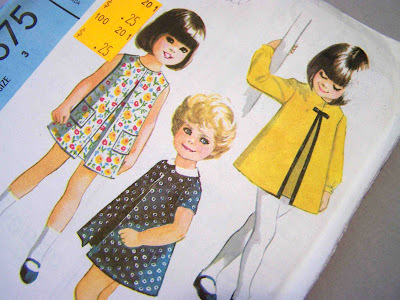 I love vintage patterns, but mostly for the illustrations. 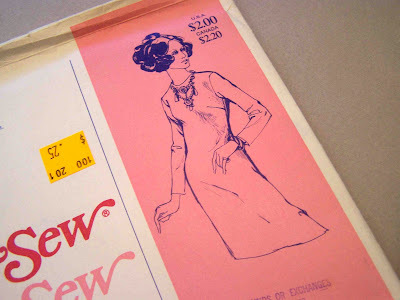 I don't know what has happened through the years, but it seems that most pattern companies lean toward photographs (I'm sure it is much cheaper), but the fashion illustrations always look so much better than the finished product. 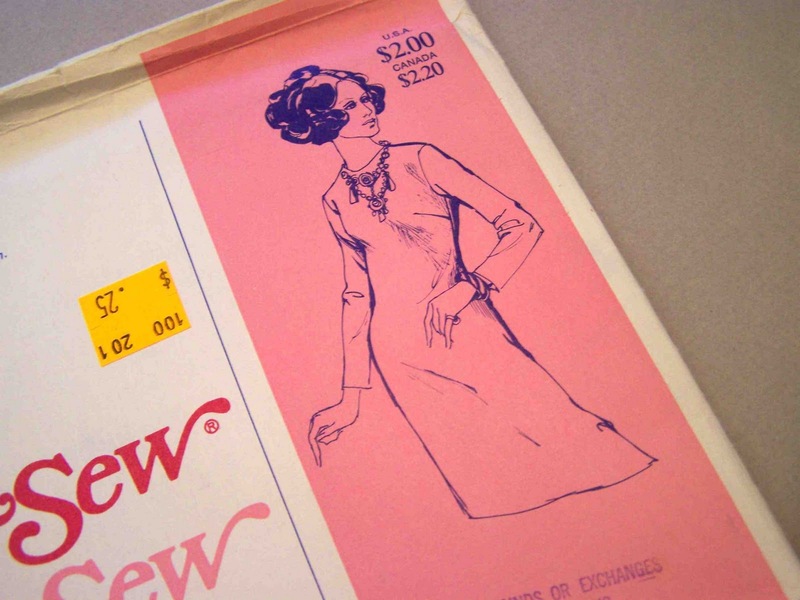 In my mind it is in their best interest to keep fashion illustrators in business, and bring back a dying art. Honestly, I will probably frame these and hang them on my wall before I get around to making them...although I am really in love with that yellow and black dress. Many of these patterns aren't my size, but I couldn't resist snatching them up. I wish that I were more experienced with grading patterns. It seems that it is difficult to get a correct fit with vintage patterns, the fit and sizing of dresses (not to mention the redesign of undergarments) have really changed through the years. I love that middle dress. 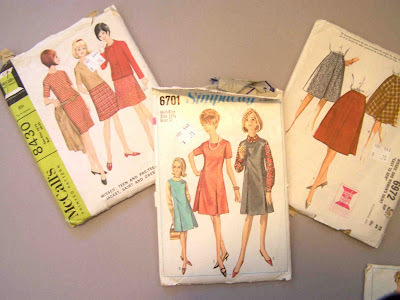 I also picked up a few stretch and sew patterns. These are multiple sizes so I should be able to get a correct fit. Are you like me? Do you collect patterns that you know you'll probably never get around to making? I just inherited a patter for pigs and rabbits wearing dresses! So if you ever, you know, need it... I can hook you up. Ha, the same thing must have happened at one of the thrift stores I go to. All the clothing patterns were the same size-14-so I didn't get any, but some of them were sure great. Of course, there were also a bunch of early 90s home decorations.